#1. 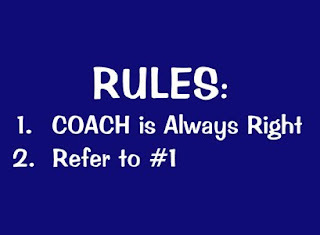 The first rule is that Coach is always right. #2. Refer back to rule #1. Oh yeah, and there is no crying in baseball.